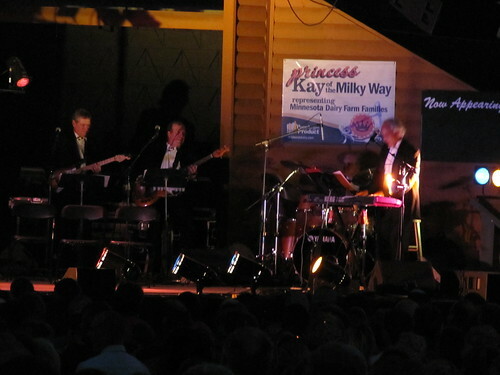 The Master of Ceremony, Rod Johnson, was excellent as usual. 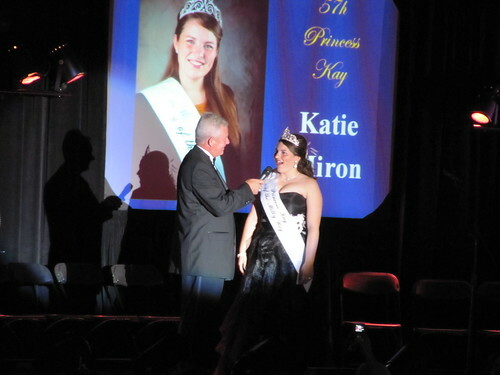 Here he is introducing last year’s princess, Katie Miron. Katie’s role during the night is to give a speech on what her year as Princess Kay was like, while providing some advice to the next Princess Kay (typical advice: “enjoy every minute of it, because it goes so fast!”). 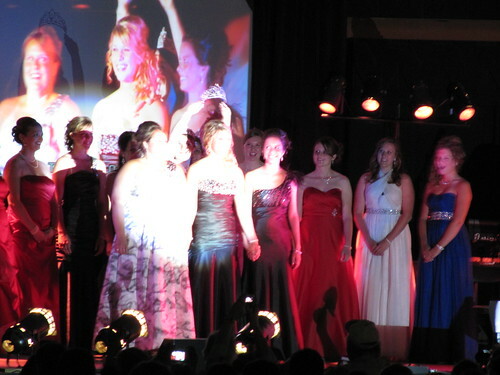 Mary Zahurones of Pierz, MN (representing Morrison County) took the title. She was a cross country runner in high school, and is starting a pre-med program at the U of MN this fall. 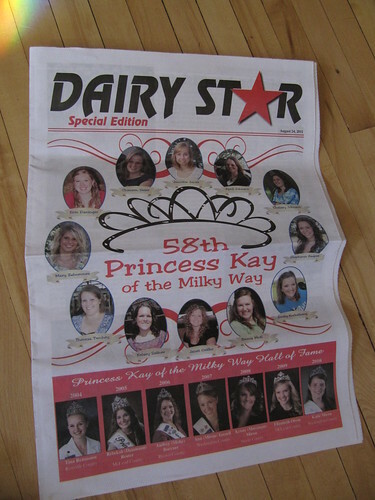 On the way out, The Other Mike picked up a copy of the Dairy Star – a 12 page race program. Clearly, if we had the race program ahead of time, we may have had a better luck with our picks. – The parents of the contestants are the first thing mentioned when the contestants are introduced. Lots of credit goes to the daughter’s parents. But, this year, they didn’t mention the last names of parents. Perhaps that’s because one of the contestants – the winning one, in fact – doesn’t share her parents’ last name. As in, her parents divorced when she was young, and her mother remarried a dairy farmer. – McDonald’s restaurants got a lot of plugs. Apparently, the dairy industry is fired up about the popularity of milk infused coffee drinks at the fast food king. – The question “What are you going to do with your butter head?” got less play this year during the Q&A. Perhaps that’s because last year a contestant said that her mom would use it to make buns, and, and her dad says, “nobody beats my mom’s buns!” That question may need a cooling off period. Ugh. How was McDonald’s plugged? Did it sponsor officially?